Laid down, 25 October 1930 SS Excambion for the American Export Line at New York Shipbuilding Co., Camden. N.J.
three turbo drive ships service generators, 1-320kW 120V D.C, 1-150kW 120V. D.C, 1-200kW 120V D.C.
John Penn was born in Virginia 6 May 1740. He was admitted to the bar in 1761; and, after practicing in Virginia, moved in 1774 to Granville County, N.C. There Penn became active in public affairs, served for a brief time in the Provincial Congress, and was elected to the Continental Congress in 1775. Serving in Congress until 1780, he voted for and signed the Declaration of Independence. Penn became a member of the North Carolina Board of War in 1780 and returned to the practice of law in 1781. 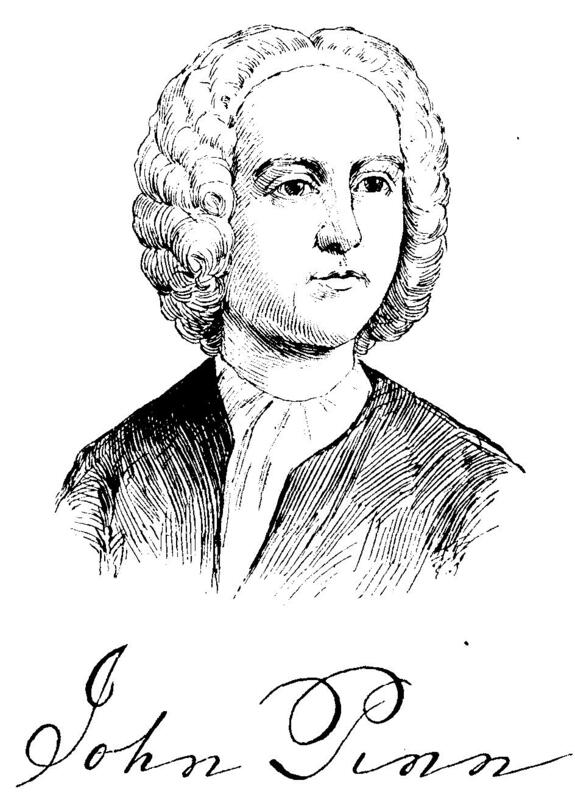 He died 14 September 1788. 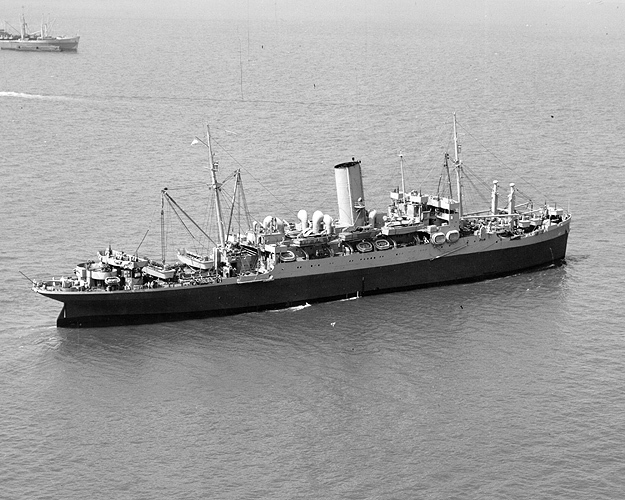 94k USS John Penn (AP-51) under way, 13 September 1942, off Norfolk, VA. She retained her liner-type davits during her career. She was never fitted with triple Welins. 178k USS John Penn (AP-51) under way, date and location unknown. 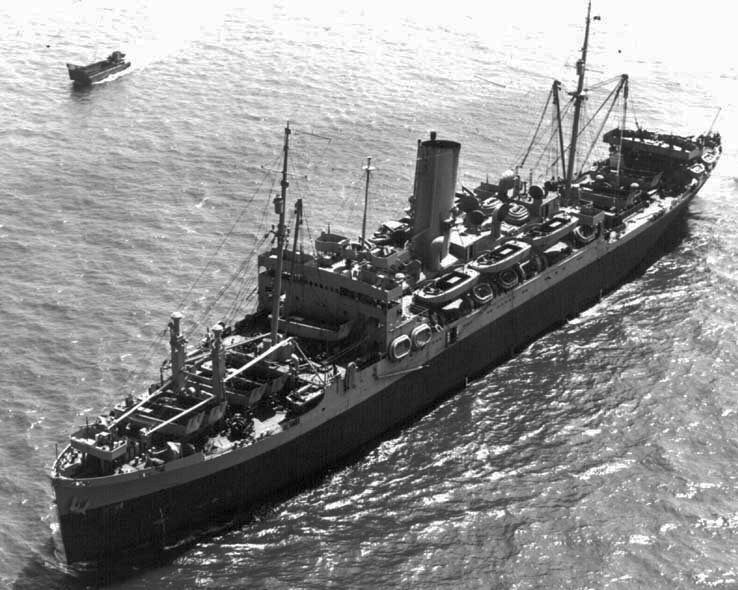 590k SS Excambian as converted to the attack transport USS John Penn (APA-23). 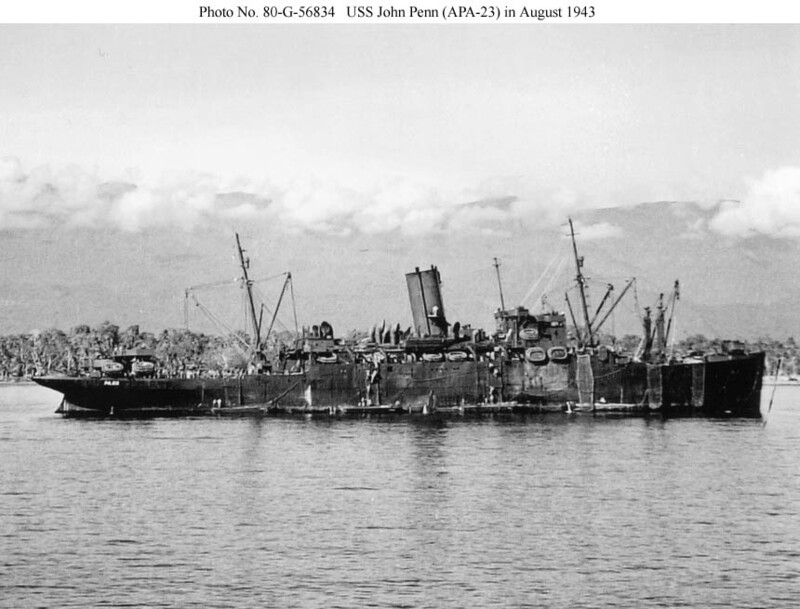 89k USS John Penn (APA-23) photographed by USS Nicholas (DD-449) off Guadalcanal in August 1943. Her troops are practicing landing tactics. 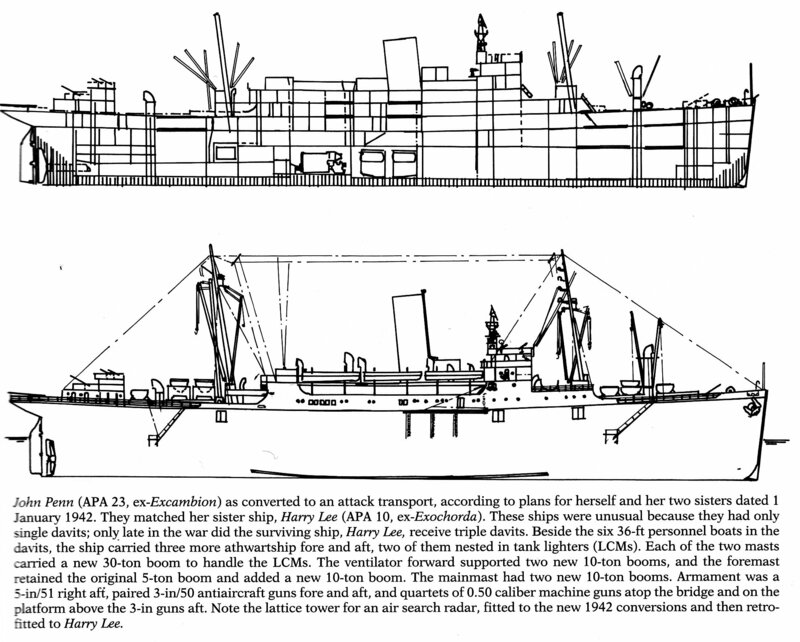 Her configuration appears to resemble that of USS Joseph Hewes (AP-50), the two having been converted in the same yard. She probably retains her original armament.